Spring is definitely the best time to take blog photos. The weather is perfect! I had a photoshoot in a secret location in my city, wearing two of my favorite pieces. The Voodoo Vixen top from Pin Up Girl Clothing and a Bettie Page pencil skirt. In 2015 I visited Los Angeles, and I went vintage shopping. 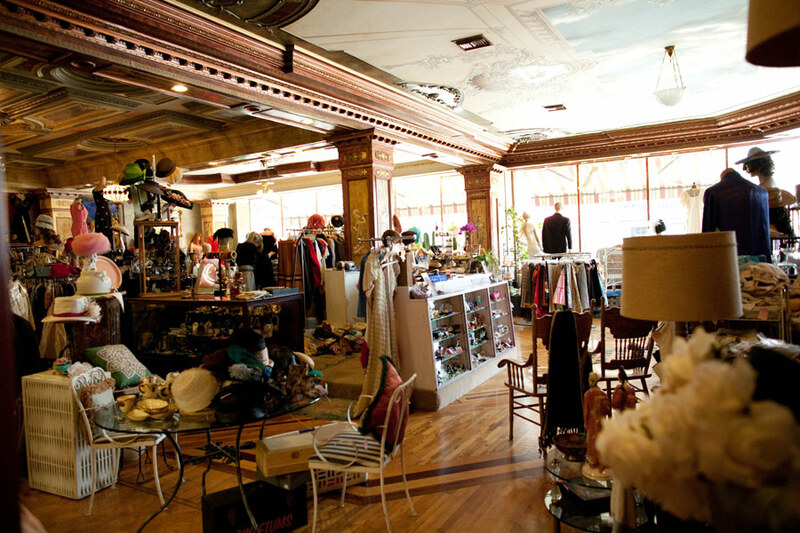 I fell in love with Burbank and Long Beach, two of the best areas to buy vintage clothing and antiques. My readers really enjoyed my list of favorite shops to visit! In 2015 I started a series of blog posts about pulp and comic illustrators, and Derek Yaniger’s has become one of my most popular posts. Although he’s not from the mid-century era, I had to write about his illustrations inspired by the 1950s. My review of a Vivien of Holloway gipsy top and Collectif Clothing shorts has been very popular on the blog in the past months. It was the first time in years I wore shorts, since I have always been very self conscious about my thighs. 2016 has been a challenging year, and I’m proud to have overcome some body issues I had. Definitely one of my favorite shoots I’ve had in my life. Photographer German Hernández really captured my inner Spanish side while wearing this combo by Pin Up Girl Clothing and Collectif Clothing. Hair flower by Lady Luck’s Boutique. Here’s to many more experiences and posts in 2017! Happy New Year! This entry was posted in collectif clothing, pin up, pin up barcelona, pin up girl clothing, review by misssixtiestwist. Bookmark the permalink.